One of the great pleasures of spring is the annual return of birds to their nest sites. Some nest sites are used generation after generation. Kurt Burnham of the University of Oxford, using carbon dating from sections of accumulated feathers and guano, estimated that falcons’ nests in Greenland were over 2,500years old. Similar work in Antarctica on Adelie Penguins revealed that these birds had been hatching their eggs on the same rocky shores of the Ross Sea for 44,000 years. On Arran, people recall nests of some corvids and some raptors that have been used for many years. The hedgerows are important nesting areas. This is recognised by various agencies including the Department of Agriculture. Its advice is that January and February are the best time to cut hedges, as by this time birds and small mammals will have eaten most of the nuts and berries which were laid down in the hedges last autumn. Hedges may be trimmed or coppiced from 1 September until the end of February, but from 1 March to 31 August, hedge cutting or coppicing is not permitted under Single Farm Payment Cross-Compliance requirements. This is to protect nesting birds from disturbance. This advice is for farmers and contractors cutting hedgerows, but it is also applicable to gardens. All wild birds, their nests, young and eggs are protected under law and it is an offence to damage a nest intentionally while it is in use or being built. 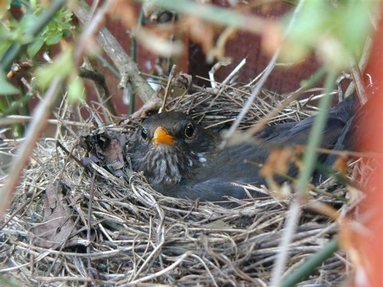 Before any hedge is cut, take a moment to check for the presence of nesting birds, and avoid any disturbance. If at any time you feel that the law is being broken and that nesting birds are being disturbed please do not hesitate to contact the local wildlife crime officer on Arran, PC Frazer Mitchell telephone number 01770 302574.